Two Boeing Co. 737 jetliners swooped onto a factory airfield near Seattle in March, the last of the models once flown by a collapsed Russian carrier. They were headed for makeovers to erase the Cyrillic logos and any other trace of Transaero Airlines. Next stop: Dallas’s Love Field, where hometown carrier Southwest Airlines Co. is on a record shopping spree. The imports are integral to what Jon Stephens, Southwest’s director of fleet transactions, describes as a “beautiful plan” to swap out some of its oldest models without spending lavishly. The carrier’s in the middle of acquiring 83 used Boeing 737-700s from around the world, the largest such haul in its more than four-decade history. 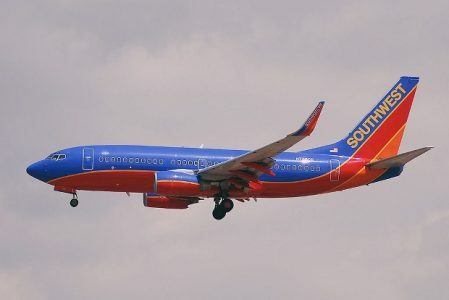 Southwest and its U.S. competitors — now awash in cash after earning record profits last year — are scouring developing nations for second-hand jetliners as cheap fuel makes older, less efficient aircraft more economical to operate. That bucks the traditional flow of hand-me-down planes from North American carriers to counterparts in emerging-market countries and makes an already volatile market for Boeing Co. and Airbus Group SE more unpredictable. To read more at Skift, click here.